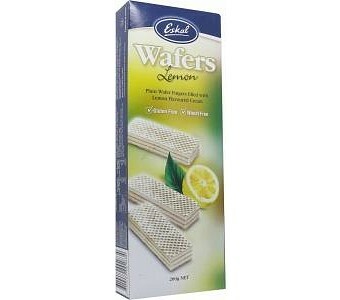 Eskal Lemon Wafers makes the perfect sweet treat with a surprise lemon flavour. 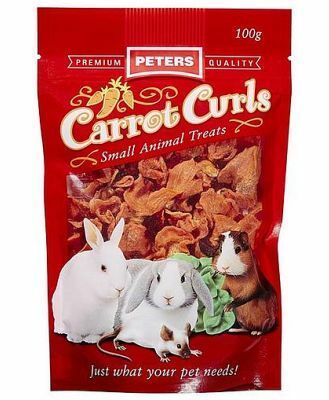 Enjoy them at tea time, for dessert, or at snack time. Eskal are plain wafer fingers filled with lemon flavoured cream, so with every bite, you?ll indulge in a zingy lemon flavoured wafer that will liven up your senses and make snack time filled citrus fun. Gluten free Perfect for snack time or tea time Kosher Parve Made in Israel May contain traces of peanuts and tree nuts Ingredients: Evaporated Cane Juice, Vegetable Oils and Fats (Non Hydrogenated), Potato Flour, Food Acid (Citric Acid), Emulsifier (Soy Lecithin), Salt, Lemon Oil, Raising Agents (Sodium Bicarbonate, Ammonium Bicarbonate).